Add a full colour customisation with protective sparkryl dome on your round plastic pull reel. 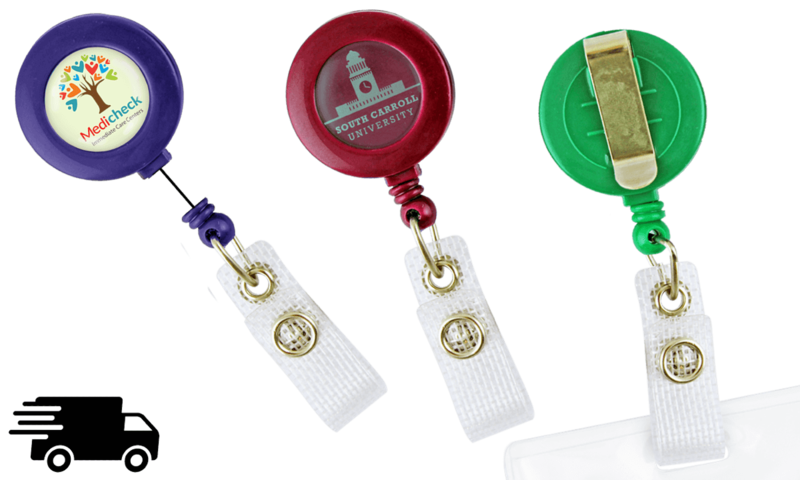 This 32 mm round badge-reel will help you keep your badge or access card within reach. This reel, with retractable nylon cord, will fit most work or school environments thanks to its lightweight and discrete design that will easily attach to your clothing. Ordering custom badge-reels has never been that quick! Add a full colour customisation with protective sparkryl dome on your round plastic pull reel. Get a quick shipping on these from 20 up to 200 pieces.